This delicious snack is so quick and easy to make. You can serve it at parties or have it as a family meal. Remove the stems from the mushroom and keep aside. In a skillet, heat the olive oil and add the minced garlic. Sauté it for a minute. Add the sausage and crumble it using a wooden spoon. Cook it till it turns brown and then add the scallions. Cook for another 2-3 minutes, add the chopped rosemary, mix well and finally turn off the heat. 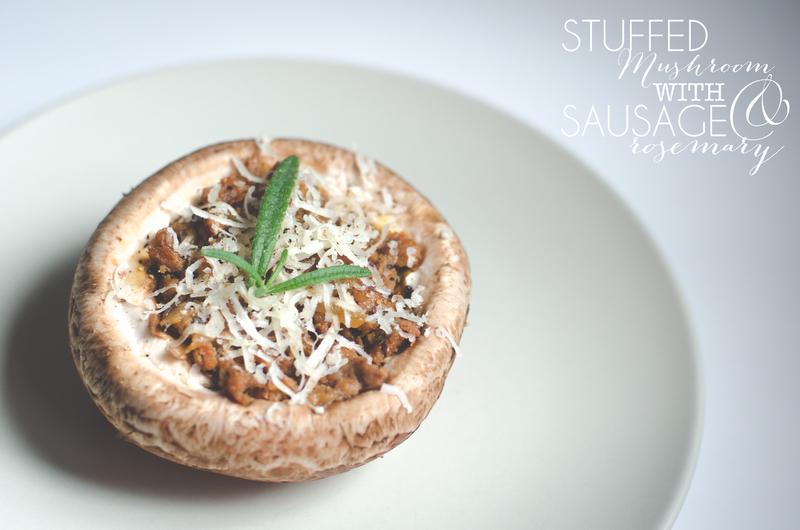 Fill each mushroom generously with this sausage mixture and sprinkle some freshly grated Parmigiano Reggiano on top. Season them with some salt and pepper and arrange them in a baking dish. Bake them for about 20-30 mins. Garnish with some fresh rosemary sprigs before serving. 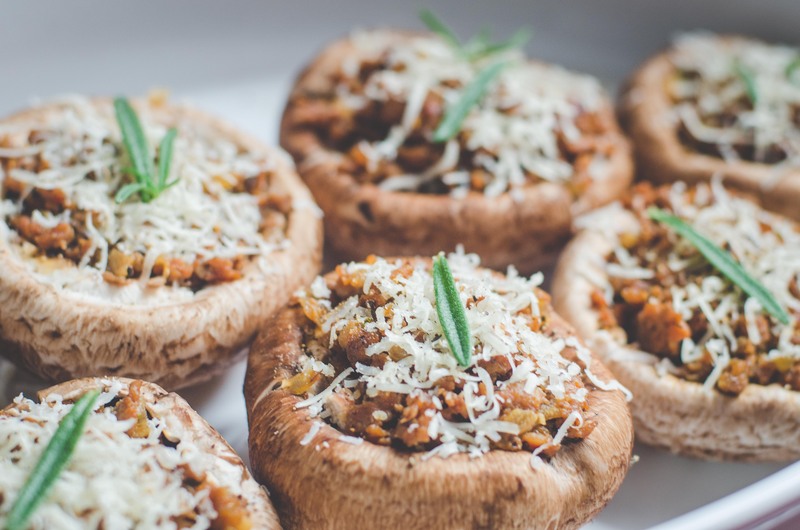 This entry was posted in baked, FOOD, Recipes, snacks and tagged baked, Cheese, chicken, Mushroom, quick and easy, RECIPE, rosemary, Sausage, snacks, stuffed, stuffed mushroom. Bookmark the permalink.